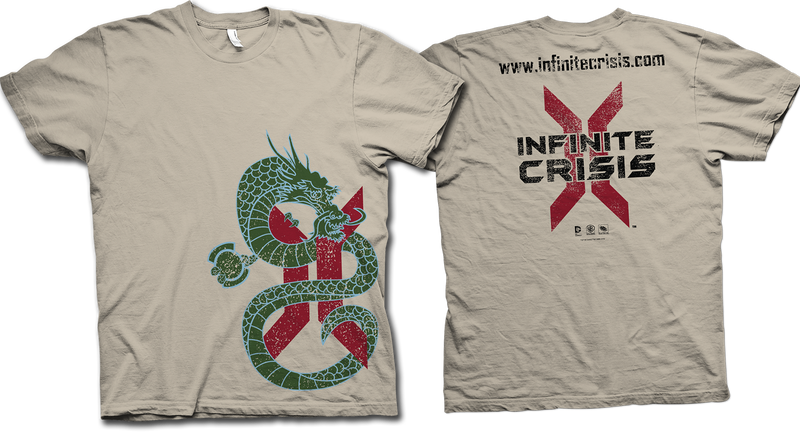 Plus, those who attend the panel will land one of these great DragonCon Infinite Crisis t-shirts, featuring a weathered version of Arcane Green Lantern's medieval jade dragon wrapped around the Infinite Crisis logo. Use it to intimidate your friends, earn bragging rights, or just look plain cool. The Infinite Crisis panel is tentatively scheduled for Friday, August 29th at 11:30 AM in the Hilton's Grand Salon D.